I finally took time to take one of my hauls and film it. I went to Ulta a few weeks ago and made a small haul. I bought both high and low end products and wanted to show it to you guys. Don't forget, whenever you go to Ulta, try to google Ulta Coupon first to get a 20% off or $3.50 off a $10 purchase. Some of my viewers told me unfortunately that some of these coupons don't apply to the more expensive brands, booooo, but any little bit helps. Check out my Video Haul! For those of you who can't see the video, here are some of the goodies that I picked up. 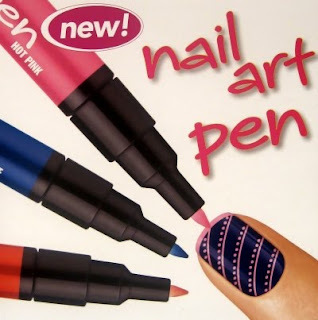 I picked up the Sally Hansen Nail Art Pen in Black. I bought it for the sole purpose of painting tiger stripes on my nails, lol. But I know you can use it for much more! It was about $7 and buy one get one half off. 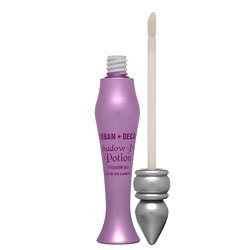 I also picked up a classic - Urban Decay Primer Potion. Honestly, I have a multitude of eyeshadow primers but this is my go-to one for oil control. I also have the Too-Faced Shadow Insurance which does work, but on super oily clients, it doesn't work as well as the UDPP. This is just a personal observation. So I picked up another one. Don't forget that if you are running low on your UDPP, just cut it in half with a kitchen knife and you'll be able to scoop out a lot of product from the inside. In fact, I did this and had enough to completely fill two 5 gram jars. On his site, he gives an unbiased review of a makeup and skincare products that he and many in the industry use in their kits. I love this site because it talks about both high and low end products. That goes to show you that there are makeup gems in the drugstore. 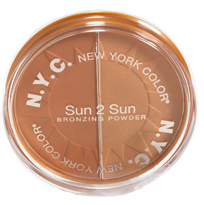 He listed the NYC bronzer in Terracotta Tan as an awesome, very natural looking bronzer. I've used it already and love how it goes on very smooth and matte. I bought this for buy one get one half off...both bronzers ended up being $7 combined, what a steal! 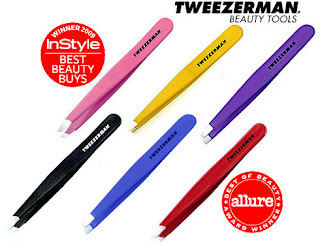 I also picked up a pair of red Tweezerman Tweezers. I heard YouTube Guru MissChievous talk about these in her Drugstore Must-Haves video and decided to pick them up. I have a few tweezers that have paint chipping off them and that start to lose their "tweezing power". Many talk about how these tweezers last five, six years and more. You can even send them back to the company to be resharpened...however I did hear a few horror stories about not getting them back. These were a wee bit expensive, I picked them up for $22 but used my 20% off coupon. However, I also saw these at Wal-Greens for $16! If you want to invest in a good pair of tweezers, check these out. 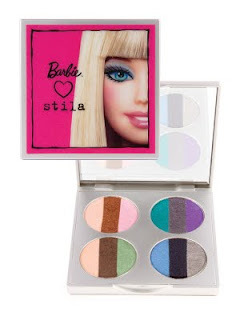 In the video, I mentioned that I tried to pick up the Stila All Doll'd Up Palette but it was sold out. Well...I ended up picking it up about a week later from Sephora, lol. It was too good of a deal to pass up! Plus, I had a gift card :) The super cute palette had 12 eyeshadow colors for $28. An even better deal is to get it from the Stila website. They're doing free shipping and 30% off this week. The colors are all shimmery...usually I'm a matte girl but I don't mind it on this one because they are all super pigmented and go on super smooth. The teal color is amazing! So that was my haul for you guys. FYI, I redid the look in this video for a Bridal Vintage Makeup tutorial. It should be up in the next week or two! Oo that barbie palette is super cute!..sigh.. i want it. On a side note, I hope that the floods aren't affecting you too badly. I hear Atlanta got hit hard. What product are u using in your lips? The colour is amazing!! And i love reds!! Nice haul by the way. You look beautiful Ren! I love hte liner!!! *sigh* I'm terrible at liner..trying hard! By any chance do you know the stila code for the 30%off and free shipping? i totally love the colour on your lips!! may i know what you're wearing? its amazing! I absolutely love the terracotta bronzer from NYC...it's a must have for me!